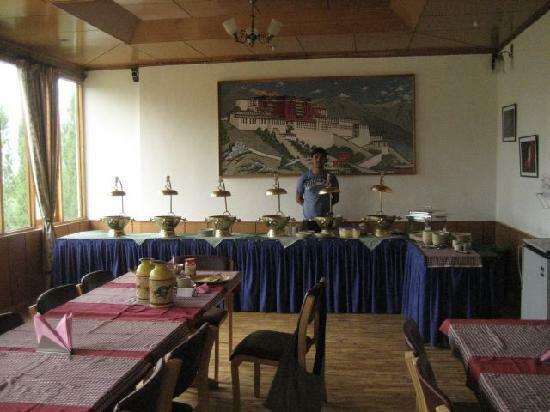 About Noble House Leh Ladakh Nestled in the lush green field in the midst of Leh, is the Noble House waiting for those who are looking forward to spend some peaceful and rejuvenating vacation in the Himalayas of Ladakh. Laundry Facilities, Travel Counter, Doctor on Call, Parking, Airport Transportation, Taxi Service, Front Desk, Gardens, Porter Service Available, Banquet Facilities. Dustbins, H/C Water, Complimentary Toiletries, Cable/Satellite TV, Luggage Rack, Complimentary Newspaper, Internet Access, Shower Caps, Wakeup Calls, Ceiling Fan. User reviews for "Noble House Leh"